How is this 50,000 employees strong company still a people first organization? A organization's success is dependent on several factors. Virgin group instills has several core values in their employees when you start working with them which helps new employees understand the culture at Virgin and initiate themselves into their organization seamlessly and smoothly. This "people first" thinking of the Virgin group is one of the major reasons where it is an industry leader in many fields. Virgin group is one of the largest multinational conglomerates which has been in business for 70 years now. What started out as a record business now encompasses 200 successful companies in various industries including Travel & Leisure, Telecoms & Media, Music & Entertainment, Financial Services, and Health & Wellness across the world. One of the major reasons for Virgin Group’s success is their agile thinking and great office culture which puts their employees first before anything. Richard Branson is one of the most influential and successful entrepreneurs out there who has been the front-runner of his brand, Virgin. He is famous for being adventurous and a risk-taker. More than being a successful entrepreneur, Richard Branson cared for the people and betterment of the society which is why he is still successful. For a start, there are several core values that Virgin group instills in their employees when you start working with them which helps new employees understand the culture at Virgin and initiate themselves into their organization seamlessly and smoothly. Virgin group follows a management style based on trust and support. Managers are given a great degree of freedom to do what they deem necessary and good for the growth of their project and the Virgin group. Richard Branson believes that taking care of his people from the company is a priority which eventually pays off in terms of success and engagement. The virgin group encourages every employee to be a leader so that they can come up with innovative and creative solutions to problems and share ideas that contribute to the progress of their business. When managers are given full responsibility and the freedom to make decisions, it shows trust and belief in their abilities as a leader to make the organization a success. They also move and think like a family. The virgin treats every employee like a member of a family and gives them complete freedom to act on their own ideas, so that, they grow to become a leader who inspires others. 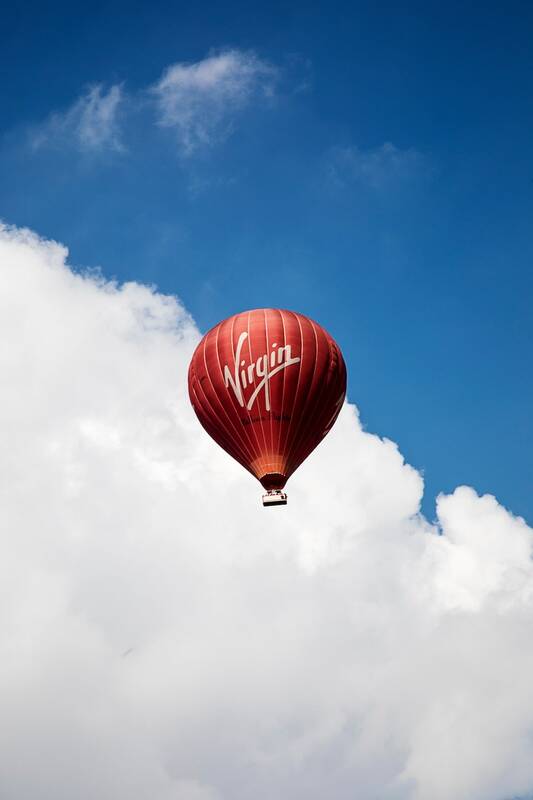 This is an effective move on the Virgin part because they are several success stories where the autonomy and the trust the company has in every employee has paid off. Virgin ensures that every employee feels valued and integrated with the organization and communication builds stronger teams, solve conflicts and bring in greater efficiency when all work as one with the same goal. In a friendly workplace were employees can joke around, have fun can make the workplace stress free and employees collaborate easily with each other. To sustain in this competitive world, it is important that employees communicate, inspire and motivates their co-workers. Employees find a smarter way to face challenges as opportunities when they are passionate. Branson states that you create your luck by taking risks. Branson has taken many risks by launching many new businesses. Example: Launching Virgin Atlantic, which created a great financial pressure on the other business in the Virgin group. Selling Virgin records was a risky decision. since the risk was calculated, the business is still thriving today. Some risks don’t pay off as you wish for so it is important to analyze and calculate the risk before taking it. Virgin Cola was launched as a competition to Coco-Cola. As a publicity stunt, Branson drove a tank through Times Square, New York city and smashed a wall of Coco-Cola cans to advertise Virgin Cola. This angered Coco-cola and declined Virgin Cola market in the US. It is clear that before taking a risk do not underestimate the power of the world’s leading marketers. While culture is described as the atmosphere of a workspace the employees operate in, it is hard to limit organizational culture with just this definition because it is more than that. It is every factor that influences how employees work and view the organization and their job. This includes their colleagues, their superiors, their immediate surroundings and the ambiance of the workspace and no one understands this better than the Virgin group. Workplaces under the Virgin Group umbrella are known to have one of the best cultures in the world. From propagating their organizational values to every employee to understanding employees, Virgin makes efforts on all fronts to create a productive and conducive workplace. There are several things that Virgin does that set them apart in the industry from employee benefits, no dress code to work, comprehensive learning and development programme and healthcare. The motivation behind all these initiatives is to create a comfortable space for employees, which in turn translates into productivity and increased engagement with the organization. It is also important to note that diversity is an important element of the Virgin group. They encourage employees to be leaders so that they share more ideas that contribute to a successful business and diversity helps ensure that new ideas gain the interest of a larger range of people. There are various instances of diversity within your organization which UnderstandBetter can help you solve business problems and improve overall performance. Every organization has a fair share of challenges but the difference is in how the obstacle is handled. While ensuring ethical behavior, Virgin group also listens to all the parties involved in the conflict and then takes the right steps that is beneficial to all. For example, when Branson hired a new manager but the existing Virgin employees were unsatisfied with his performance and hindered their growth and promotion. Branson resolved the issue with mutual compromise from all the parties and collaborating to meet company objectives. This is an example of how conflicts can be resolved with comprising and collaboration through the vision of a common goal that is the organization’s growth and success and improvement of industry reputation. This also shows how obstacles can be viewed as opportunities to bring the team together and work towards the common goal. Employee engagement is an important part that every organization needs to focus on to grow and create a good, productive experience for every employee. This ensures that the whole team is on one page about the direction, their project, their team, and the organization is taking. Employee engagement also serves another purpose in their organization in learning from the mistakes they make, so that they create a better experience next time. It helps them recognize the employee for their efforts, actively listen to what the employees feel about their work and generate genuine passion for their work while at Virgin. Employee engagement also promotes employee wellness amongst other benefits. This is a true example of how active management style can help the organization grow by leaps and bounds with the employees.